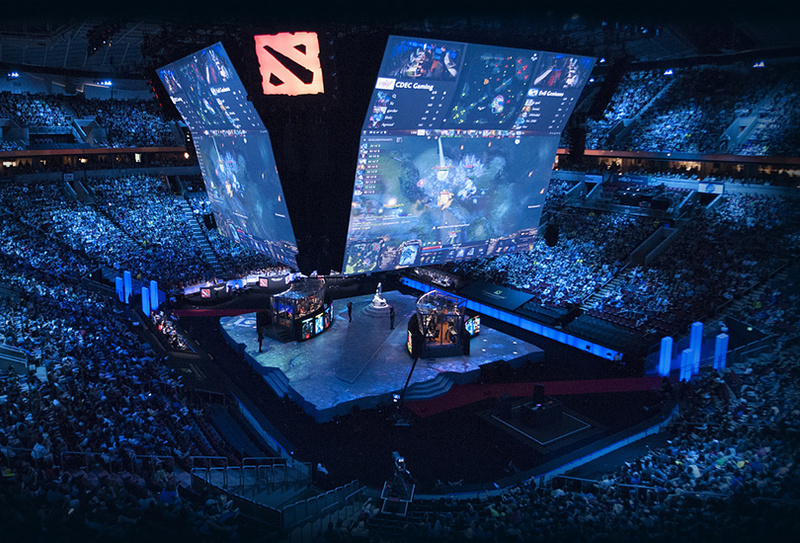 The International 2016 Compendium update has arrived, bringing with it a host of new and classic features designed to let you interact with the biggest tournament of the year while using your powers of prediction to score Battle Points. Undertake the Fantasy Challenge by unwrapping your 15 Player Card Packs to stack up a roster of Dota elite; fill out a Bracket Prediction to see how close you can predict the flow of the Main Event; or flex your knowledge of the overall meta by making Tournament Predictions. Then, once the tournament begins, make your in-game Battle Predictions during live matches of The International to work towards a new set of Achievements. The stronger your performance, the more Battle Points that await you. This update also includes the release of the Dota VR Hub. Put on a headset and join your friends and other Dota fans to watch live matches or replays in Dota VR Theater, where you can stand surrounded by heroes and watch the action unfold on an enormous screen. Immerse yourself further by jumping through the minimap into the game itself. Watch from a bird’s-eye view or plant your feet on the ground to watch the battles rage around you at full scale. We will continue to improve the Dota VR Hub as we approach The International, so try it out and let us know what you think. Head over to the Compendium Update page and VR Hub FAQ to learn more. We’ve also added a convenient Notifications dropdown next to the Armory button in the client to help keep track of all the new things included in our updates. Wildcards: August 2nd, 2016 – Four teams in a best-of-three double elimination playoff. Top two advance to Group Stage. Group Stage: August 3rd – August 5th, 2016 – Two best-of-two groups of eight teams. Top four teams in each group advance to Upper Bracket, bottom four advance to Lower Bracket. Main Event: August 8th – August 13th, 2016 – 16 teams in best-of-three double elimination playoff. Lower bracket first round is best-of-one, Grand Finals are best-of-five. Fans can look for the full tournament website to launch later this week.